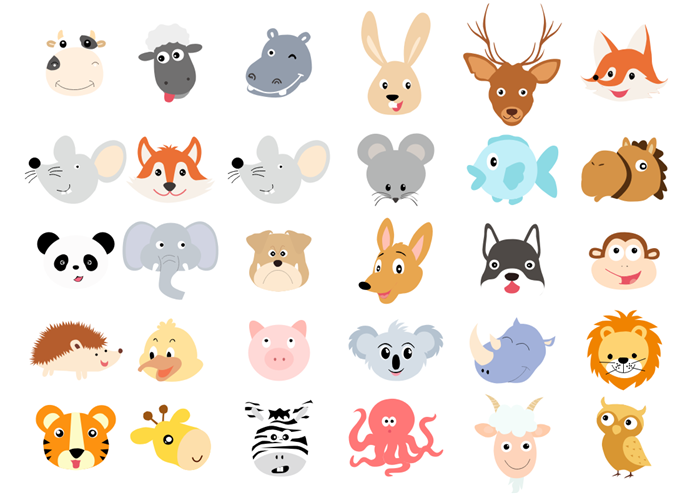 30 high-quality vector animal head cliparts for free! 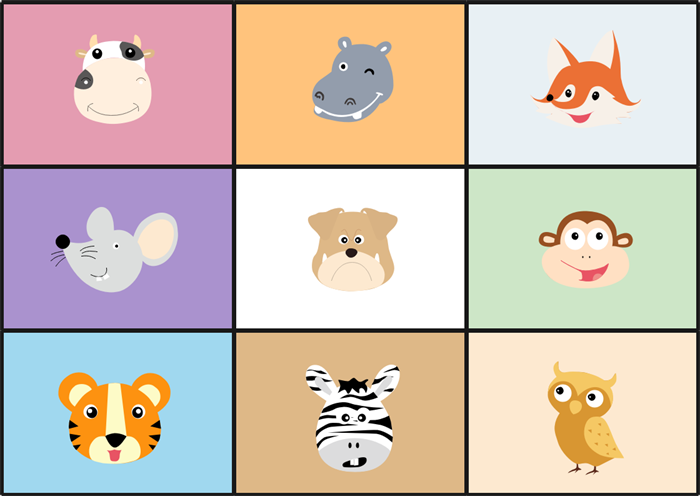 Free download these animal head cliparts and use them in your infographics. More and more people prefer to use animal profile pictures in widespread social media websites and applications. Besides, in elementary school education, animal figures cover not only biology but also science and painting classes. Applying cartoon animal head images into primay school education such as textbook illustration makes the class more vivid, thus attracting students' attention and improving class interaction. 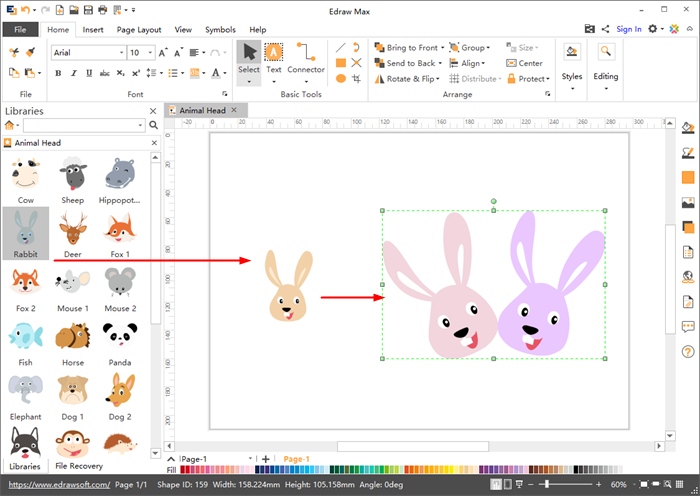 Edraw clipart software provides users with various vector animal head cliparts , including cow, sheep, rabbit, deer, fox, mouse, fish, horse, panda, dog, monkey and koala etc. 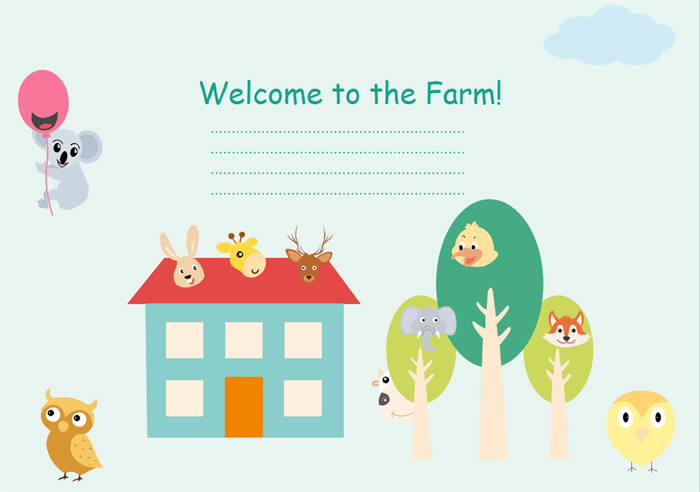 Click on the picture below to download and customize these cute animal head vector cliparts for free. As cliparts from libraries are vector, they could be modified by changing the size, colors and shapes. Teachers can use animal head cliparts as they are in teaching and games to make the class more interesting. For green hand designers, Edraw provides you plans in drawing lessons from cliparts for your works. Besides, if this clipart library does not satisfy your needs, a series of drawing tools are prepared for you to customize it. The cartoon animal farm flyer is made up of animal heads and simple graphic sketches. The background is light green which is warm in a good mood. If you happen to have a farm, all you need to do is to write some advertising words for your place. It is well worth trying Edraw for download free. Classroom decoration is one of the most effective ways to settle young students in the classroom. Here is a decorative animal photo collage available for adding vigor to a teaching building. All elements, lines and diagrams are editable. You can download it if you need and edit with Edraw clipart maker.